Preheat the oven to 325 degrees Fahrenheit. Line an 8 1/2" x 4 1/2" x 2 1/2" loaf tin with parchment paper and set aside. In a large mixing bowl, cream together the butter and sugar than beat in the eggs (if the butter is soft enough, you won't need any electric beaters). Stir in the flour in three or four additions then stir in the almond meal, baking powder and salt. Make sure the flours are completely incorporated into the batter. Stir in the extracts then pour batter into the prepared tin and level off. Bake in the middle of the oven for 50-60 minutes, or until a cake tester comes out clean. Cool the cake in its tin for a few minutes, then remove from the tin and cool completely on a wire rack. To make the marzipan coat, roll the marzipan out (dusting everything with powdered sugar) so that it's big enough to cover the top and sides of the cake. Brush the top and sides of the cake with jam, leaving any large apricot chunks behind. Cover with the marzipan, seal and trim. Press dragées into the top of the marzipan and leave until set. Adapted from "Battenberg Cake" and "Madeira Loaf Cake" at BBC Good Food. *I love this set of photos. And I love that Elizabeth (both as princess and as queen) is wearing the same jewelry. It's a good argument for buying quality pieces. Of course, it helps to have generous royal relatives! You're always welcome if you're ever up this way! But, did you watch the flotilla on the Thames? I tuned in late and missed the new barge Gloriana. Wednesday is the service and I plan on watching. 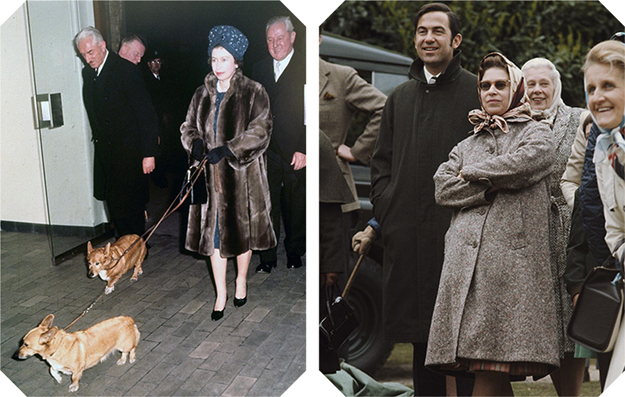 Unless you haven't guess, I am quite the Anglophile and I always have a soft spot for jubilees. 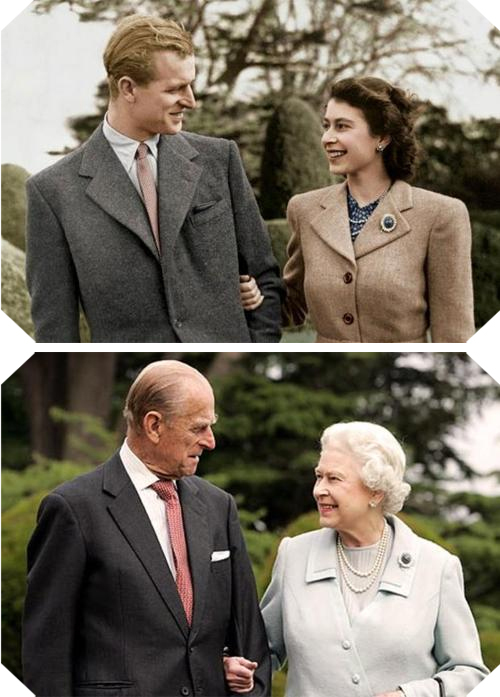 Love the Before and After pics of the Royal couple. And I want me some Jubilee Almond! Perfect with a nice cup of Darjeeling. 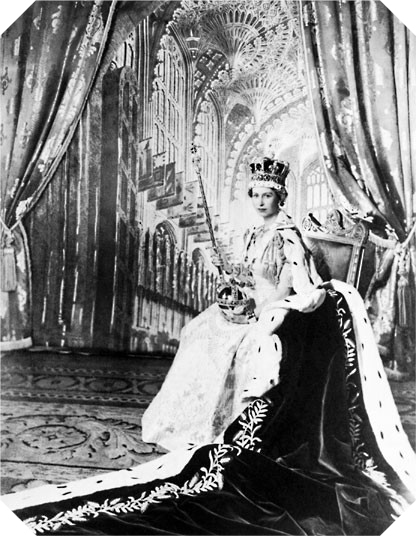 I wonder what the Queen feels about the outpouring of love shown her on her Jubilee. She must be gratified. Ohh, I love your elegant cake! It sounds quite delicious and perfect for the festivities. I've never used marzipan before and really like the look of it - I'll have to try soon. Your set of photos of the Royal Couple are just lovely to see. This look beautiful and sounds delish. Nice catch on the Queen's brooch!